Writer/producer Norman Lear’s youthful spirit, inquisitive mind and groundbreaking sitcoms are the stuff of a true AMERICAN MASTER. Photo courtesy Norman Lear. “My family is the greatest joy in my life,” says 93-year-old writer/producer Norman Lear at the close of Norman Lear: Just Another Version of You. This engaging documentary profile of the trailblazing writer/producer was filmed for American Masters by Heidi Ewing and Rachel Grady. In Norman Lear’s universe, the term “family” covers a lot of ground. The families he’s been fortunate to shape and share his life with, especially on the job, are the stuff of legend. 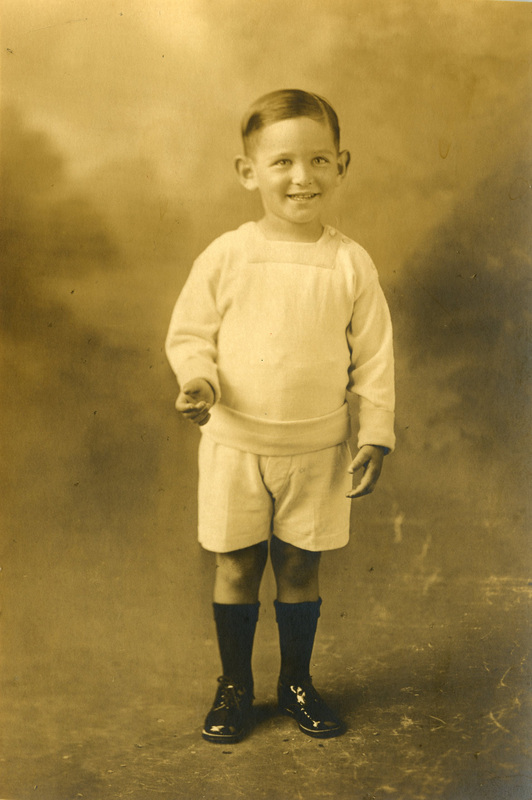 Norman Lear, circa the 1920s. Photo courtesy Act III Productions. Admittedly “a striver,” he persevered and managed to make a giant leap forward from working three jobs on the Coney Island Boardwalk to Emerson College, which he departed in patriotic fervor to enlist after the bombing of Pearl Harbor. The filmmakers have fashioned a clever collage of Lear’s back story by blending passages from his memoir, vintage family photos and archival clips from his early work as a scribe on seminal TV variety shows. A slapstick bit from”The Colgate Comedy Hour,” starring Jerry Lewis and Dean Martin (1950) actually features Lear on-camera with Lewis. While the specifics of his rise to the top as the writer, producer and show runner responsible for six of the top 10 shows on TV during the 1970s are best garnered from Lear’s memoir, Even This I Get to Experience (Penguin, 2014), there are extensive clips from those hit shows and insightful anecdotes to relish in the film. 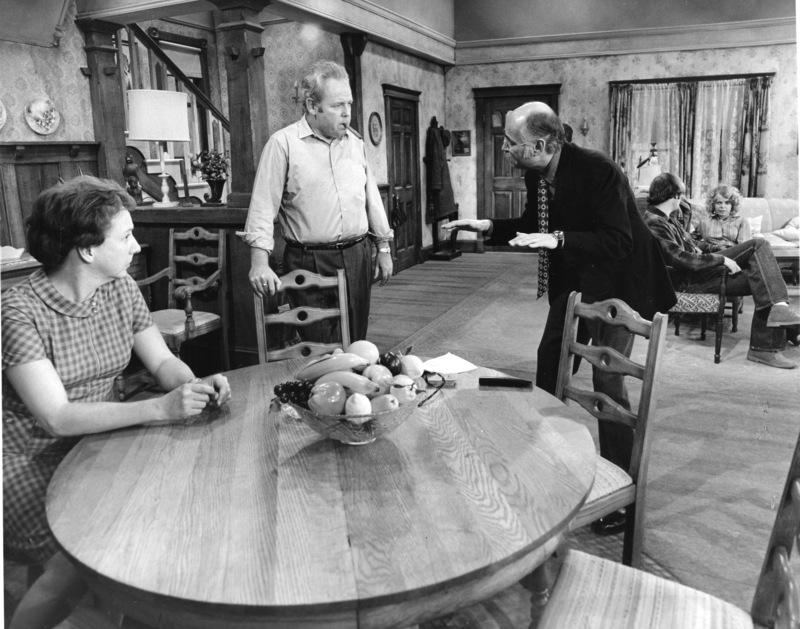 From left: Jean Stapleton, Carroll O’Connor, Norman Lear, Rob Reiner and Sally Struthers on the set of ALL IN THE FAMILY. Photo: CBS Photo Archive. It was an era when footage of Vietnam casualties and anti-war protests blanketed the evening news at dinner time. Welcome antidotes to the bloody carnage and campus sit-ins were Lear’s fearless TV families who served up hot button social issues with humor and a twist of reality that upended romanticized post-war portraits of American family life. In the process, Lear raised the hackles of TV censors and the religious right and landed on President Richard M. Nixon’s enemies list. Clips from controversial episodes of All in the Family, Maude and The Jeffersons are highlights, as well as some hilarious shtick with Lear’s pals and contemporaries, comedy legends Carl Reiner and Mel Brooks. Reflections on Lear’s important contributions to the national discourse come from Rob (“Meathead”) Reiner, now a noted film director; George Clooney; Bill Moyers; Russell Simmons; and Jon Stewart, as well as Lear’s former partners and colleagues, including, via archival footage, actresses Bea (Maude) Arthur and Esther (Good Times) Rolle. Especially enlightening are Lear’s candid anecdotes about his actors. Lear has much to say about Carroll O’Connor (his casting as Archie Bunker and O’Connor’s ongoing challenges, as a liberal Irish Catholic, with the role and scripts). Lear and actor John Amos also recall the problematic success of Good Times and the fine line they walked to stem the stereotyping of the sitcom’s break-out young star. Ever the patriot and social activist, Lear went on to buy a copy of the Declaration of Independence, tour with it on the lecture circuit, and launch a liberal advocacy organization, People for the American Way (PFAW). 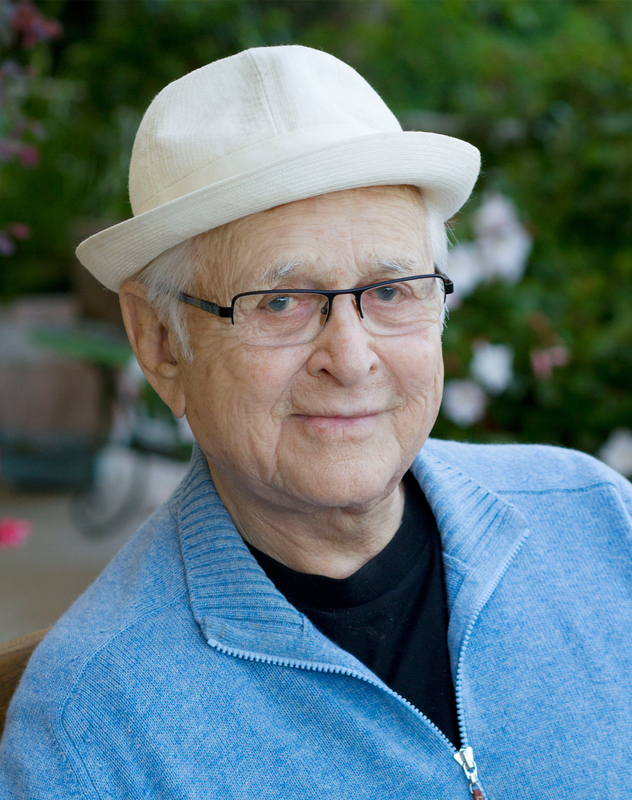 Norman Lear loves his family, his signature hat and his morning cup of coffee. Photo: Andrew Renneisen/The New York Times. 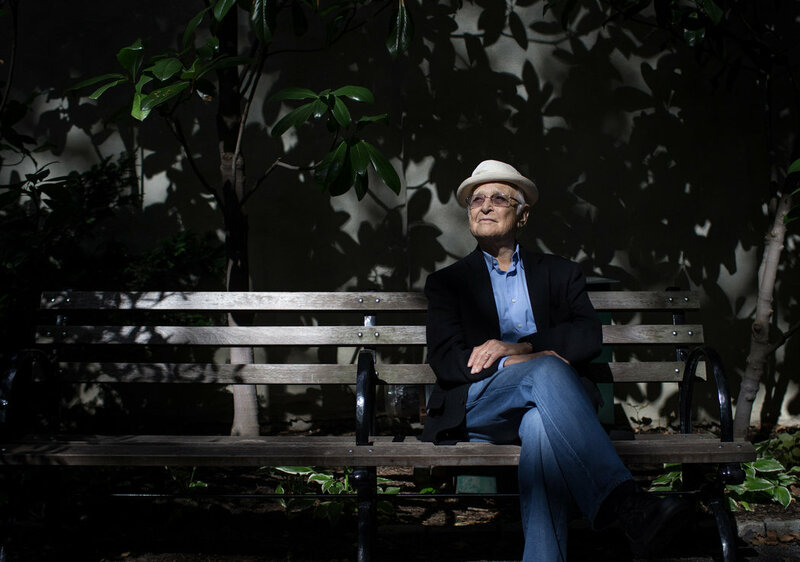 With his strong physical constitution and inquisitive mind still on full throttle, Norman Lear credits his tight-knit family and “childlike view of the world,” with his healthy, productive longevity. I encourage you to share some laughs and a tear or two with this marvelous nonagenarian and national treasure whose transformative contributions to our television landscape are as relevant today as they were in the 1970s, especially in light of the racism, bigotry, bullying and sexism that have darkened our current U.S. Presidential election. This entry was posted in Film, TV and tagged All in the Family, American Masters: Norman Lear Just Another Version of You, Carroll O'Connor, Comedy and Comedians, Good Times, Heidi Ewing, Maude, Norman Lear, PBS, Rachel Grady, The Jeffersons. Bookmark the permalink. We saw this earlier this year at the Museum of the Moving Image with Norman Lear in attendance for Q&A after, which was very cool. I thought you’d be writing about this film. Good job, and thanks for letting people know that this is on.